The biggest thing that happened for my game between my freshman and sophomore years at Winston-Salem was that my ball-handling skills improved considerably. I really got a lot better over the summer of 1964 playing in Philadelphia every day, nonstop, with the Trotters and other teams around the city. I practiced my dribbling a lot when I was home, and then I kept it up when I returned to Winston-Salem, doing three or four hours of drills a day. It was all starting to pay off. My outside shooting had improved also through constant practice, so I knew by then that if I could get to a certain spot on the floor, I could make that shot. But this required having a great handle–you know, dribbling skills–because by then I could make my jumper. So my dribbling got me wherever I wanted to go on the court and that improved my offensive game and scoring potential tremendously. Second: I’m tying this into Andrew Wiggins content, because: a) the biggest concern with Wiggins is his ball-handling ability, and how that weakness could limit his potential as a scorer; and b) Wiggins is at the same stage of development (just finished freshman college season) as Pearl was when he says his handles tightened up and elevated his scoring ability. 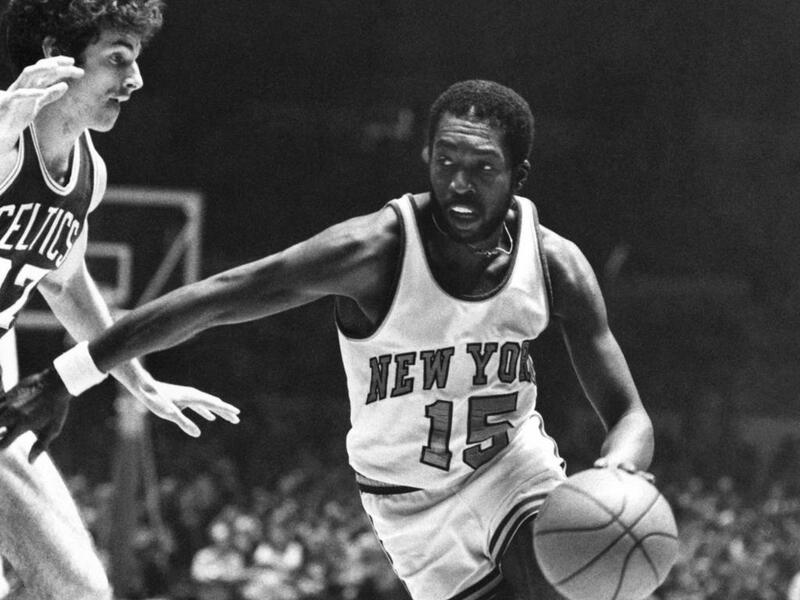 Earl Monroe did his damage off the dribble. The indispensable Draft Express website has great videos for each top prospect that show clips demonstrating the player’s strengths and weaknesses. * His effective plays involve quick, snappy decisions with only 1 or 2 dribbles. He shows the ability to use his athleticism efficiently. There isn’t anything flashy about one or two hard dribbles, and Wiggins does not seem to be the sort of improvisor that a Monroe (or, more modernly, LeBron James or Dwyane Wade) was. But Timberwolves fans have also seen explosiveness go to waste with unnecessary flash. (Think Gerald Green, Jonny Flynn, and Derrick Williams.) Sometimes having great physical abilities — even ball-handling paired with athleticism — can be counterproductive when players get “dribble happy” and/or force difficult shots. I don’t anticipate Wiggins having the same problems that plagued D-Thrill. * Wiggins has a post-up game, and a footwork and cadence reminiscent of Carmelo Anthony on his square-up, step-back fadeaway. IF, and this is a huge if, far from certain or even likely… IF, he can pair that step-back footwork (and accurate shooting, with it) with a strong dribble drive game to the hole, he’ll be impossible to defend with only one guy. That’s a sneaky aspect of Wiggins’ game that shows huge offensive upside. There aren’t a lot of outstanding post scorers in the NBA, and the rules seem to encourage smaller-than-seven-footers to explore the post, with square-up action. Like Carmelo, and LeBron, and Wade, etc. If Wiggins can polish up those skills over the next 3 or 4 years, look out. Anyway, watch the video for yourself and form your own conclusions. Feel free to share them in the comments.